Hubbell-Wiring Twist-Lock® Single locking receptacle has nylon face and glass reinforced thermoplastic polyester base construction for durability and high abuse resistance. The corrosion-resistant receptacle features back and side screw terminal for secure wiring. This 4-Pole, 4-Wire receptacle with 2000-Volt dielectric strength, has a voltage rating of 120/208-Volts AC and current rating of 30-Amps. The flush/screw-mount receptacle in black color, is compatible with 16 to 8-AWG wire. It has brass strap to avoid pulling away from face/body assembly and brass contacts for lasting retention. 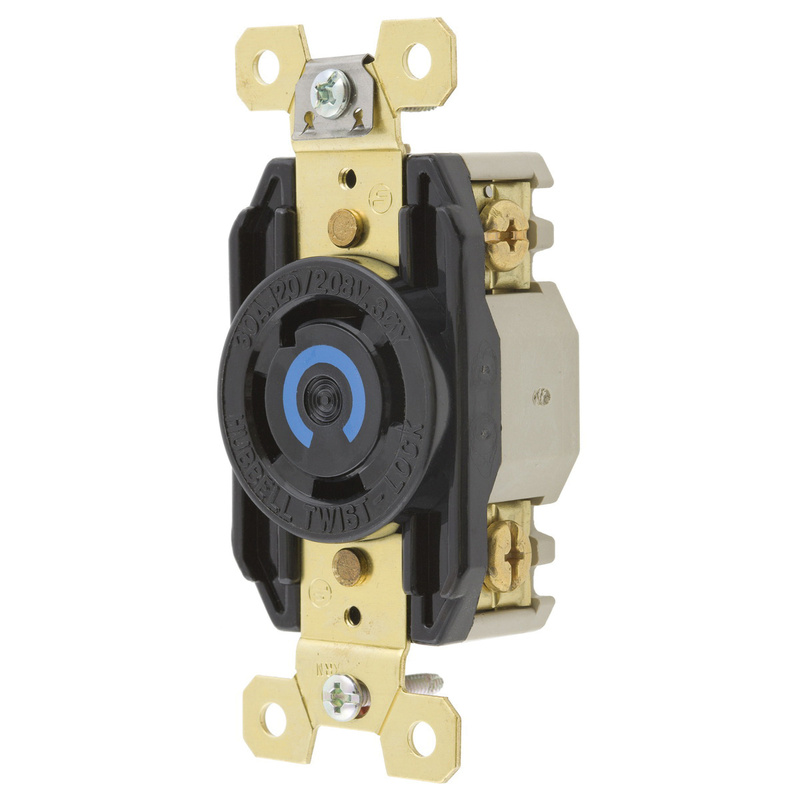 The NEMA L18-30R, IP20 rated receptacle is suitable for heavy duty industrial applications. The single locking receptacle meets UL, CSA and Federal Specification standards.